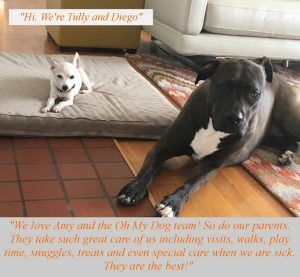 We Love Amy and the Oh My Dog team! “A year ago, Jackie was on her last leg and scheduled to be put down after her owners dropped her at a rescue shelter. Now, she’s an award-winning canine. 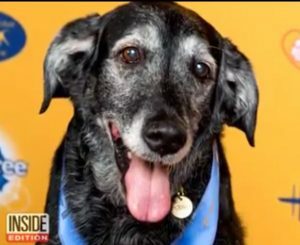 The 11-year-old black Lab mix recently won the first American Rescue Dog Show, a Westminster-style competition for shelter dogs. Santa Paws is Coming to Town! (well, technically to Joint Animal Services). Bring your pets for photos with Santa at JAS (3120 Martin Way E, Olympia, WA 98506) December 2nd & 3rd, 2017. The cost is just $20 and you receive a CD with at least 5 digital images. Reservations are highly recommended, so please call 360-352-2510 to reserve your session. Looking for a new walk-spot? Are you looking for a new spot to walk your pups? 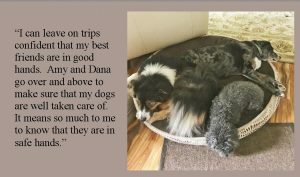 Check out this article from Thurston Talk for 10 dog friendly walks around Thurston County. 4441 Pacific Ave is just west of College Street in Lacey. We’ve had a number of requests and have accepted some new clients from the westside, so we thought we’d make it official and add the Black Lake/Cooper Point area of the west side of Olympia (98502) about as far north as Harrison Blvd. If you’re farther north on Cooper Point, zip us an email and we’ll map your address and let you know if we can come out that far. We do serve outside our regular area for pet taxi and mid-day checks though mileage charges may apply. 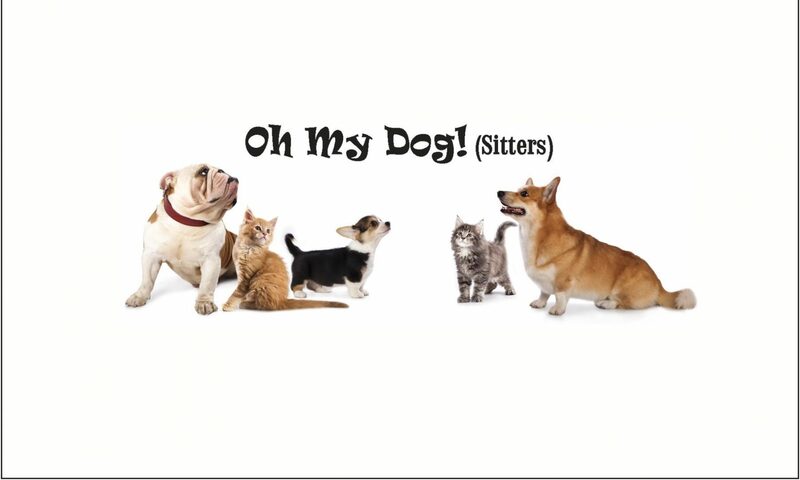 If you’re unsure whether or not you’re within our service area email us at ohmydogsitters@gmail.com, we’d be glad to answer your questions! except low to mid 60s in the warmer metro areas. Cooling center information will be posted on the Emergency Management Facebook and Twitter accounts if temperatures rise to the mid-90s or higher. Keep a cool head and remember the basics: drink plenty of fluids; avoid the sun and stay in the shade; use sunscreen, even if you’re outside for only a few minutes. Find cooler air in public places. Shopping centers, movie theaters, libraries, and community centers are typically air conditioned, so go out, have fun, and find some cooler air. Take it easy and avoid heatstroke. Don’t over-exert yourself with heavy duty yard work or strenuous exercise during the hottest part of the day. NEVER leave children or pets in a hot car. Keep pets cool, too. 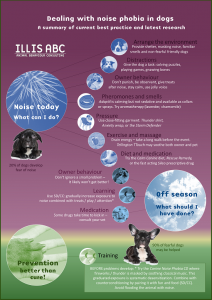 Check on your outdoor pets frequently and make sure they have shelter from the sun and plenty of water. The heat can be hard on the young and the elderly. Check on relatives and neighbors who may be more sensitive to hot weather—young children, infants, seniors, and people with chronic illnesses are most at risk during extreme hot weather.